Losing Your Mind …To Heal the World! Your Subconscious Mind….What ARE You Thinking ?! 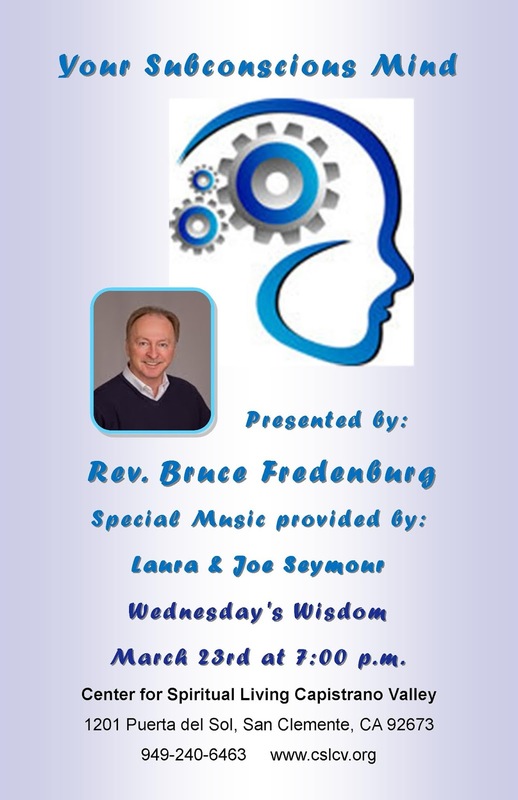 Join us this Wednesday March 23rd to find out! Come hear Rev. Bruce Fredenburg and as an added treat hear the music of Laura & Joe Seymour. A splendid time is guaranteed for all and tonight Rev. Bruce is topping the bill! (apologies to Messrs. Lennon & McCartney). Meditation Can Bring World Peace …Join Us!